You can rename an existing strategy in the Create Strategy window. From the Control Panel, click the icon. The Create Strategy window appears. From the Saved Strategies List, right-click the desired strategy. Select Rename from the right-click context menu. The Rename Strategy dialog box opens. 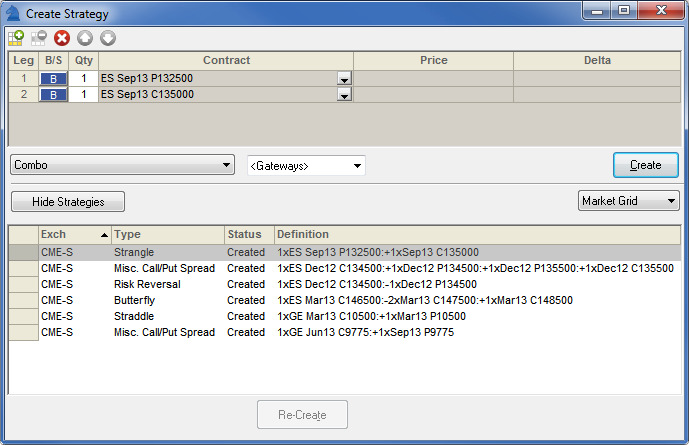 Note: To revert to the original name (spread type, ratio, legs expirations) click Restore. Enter the new strategy name, and click OK.